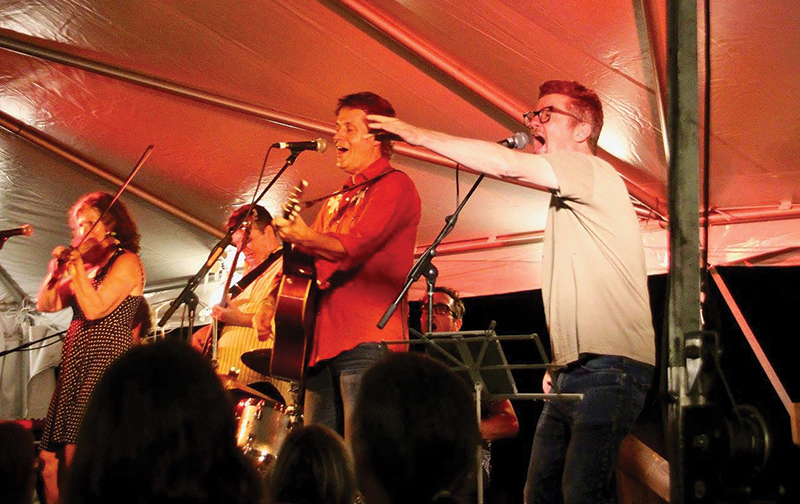 In its 14th year, CORE’s Jim Cuddy concert was attended by 385 guests and raised about $30,000 for the cause. On satge, Collingwood native Austin McCarthy and his band opened for Jim Cuddy, Anne Lindsay, Andy Maize (of Skydiggers), Devin Cuddy, Brazil Donovan, Colin Cripps and Glenn Milchem. A great roast beef and trout buffet dinner provided by the Flying Chestnut out of Eugenia, with support from sponsors, Creemore Springs, Meglomaniac Winery and The New Farm.